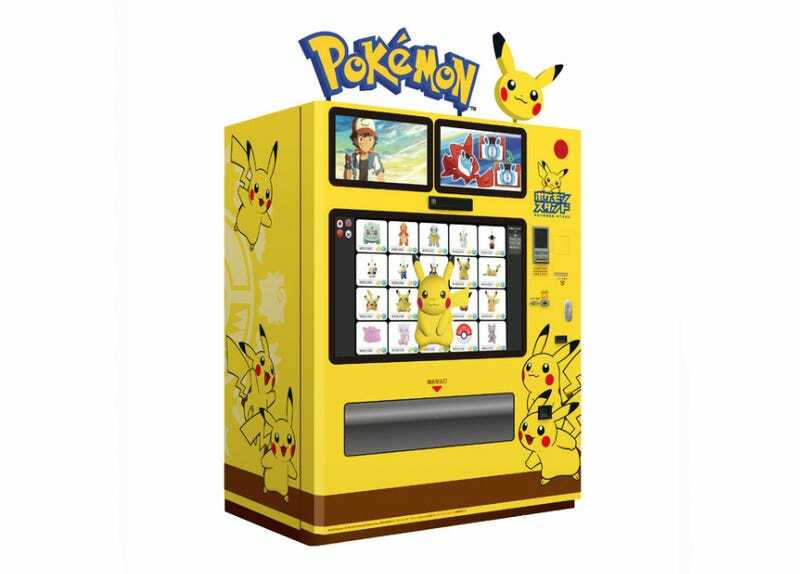 Japan loves Pokémon, and it loves vending machines. It was only a matter of time before they merged. Behold, the Pokémon Stand. These vending machines sell Pokémon Center merchandise and are located at Narita Airport, Aqua City Odaiba, Ebina service area in Kanagawa and Ashigara service area in Shizuoka. As you can see in these images from Inside, the vending machines support Japanese, Korean, Chinese and English. Here are photos of machines out in the wild! And a clip of one in action.